Autonomous car legislation backs Google's vision of the future over Ford's. A self-driving car is displayed at Google HQ. But state legislators are starting to join camps, too, and they are moving toward Google’s. Since the beginning of 2012, 17 states (and the District of Columbia) have considered legislation addressing autonomous vehicles. Nevada, California, Florida and D.C. have enacted laws. The mere fact that states are debating these bills now suggests that Google’s view is winning: Autonomous cars sooner rather than later. First, the laws in California and Florida confirm Google’s original conclusion that existing law “does not prohibit or specifically regulate the testing or operation of autonomous technology in motor vehicles.” Our laws are based on the assumption that only human beings make decisions. They don’t operate exactly the way we want them to when machines start making decisions too. For several years prior to the passage of California’s law, Google relied on legal confusion to test its prototype cars in the state. Having said that, there are signs that legislators are not wholly pleased with Google in this area. California requires that manufacturers of autonomous cars (and technology) disclose the information they collect while in use. This represents a subtle move to counter Google’s overarching strategy of being a Sham Wow for personal data. Additionally, and somewhat strangely, Nevada requires that autonomous vehicle operators have a special driver’s license endorsement in order not to drive their cars. (Similar requirements can be found in failed and pending legislation in Arizona, Hawaii, New Jersey and Oklahoma.) In some ways, this is closer to the quote from a Ford employee in The New Yorker—“the driver remains in control of the vehicle”—than to Google’s goal of getting autonomous cars on the road as soon as possible. Ultimately, the technology will decide whether these laws are prescient or foolish. 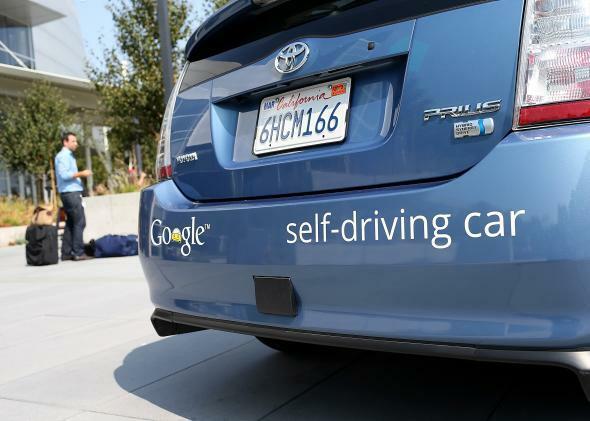 If Google engineers are right, self-driving cars will become common and safer than planes. If engineers from auto manufacturers are correct, we’re still in the Wright Brothers era.